Automation helps freelancers and SEO agencies of all sizes scale their efforts, save time and money, and gather more information on their targeted market or competitors better than they could do manually. In SEO, even basic questions such as “Why is my page not ranking as well as yesterday?” involve an understanding of internal and external causes of such a wide variety that hoping to answer them without automating some of the data-gathering and analysis processes is simply unrealistic. Some of these methods may not necessarily involve automation in the strictest sense but may simply rely on scaling your processes to optimize their efficiency. Sometimes, this means finding the right tools and building an adequate martech stack, and sometimes it is just about getting more organized. Learn how to automate keyword research, competitor analysis and prospecting, and social media post scheduling. This can help you save time from your workload, keep an eye on the most important key performance indicators (KPIs) related to your campaigns, and do the work that would otherwise require a committed team or department. All your subsequent SEO efforts might be wasted if you incorrectly handle keyword research, no matter how well you plan or execute SEO. Finding as many of their alternatives and longtail derivatives as you can; create longtail keywords by specifying the much broader seed keywords, which are easier to rank for. For instance, if you are selling sports shoes, that phrase alone would be your seed keyword, and derived longtails could include combinations such as cheap sports shoes, best sports shoe store, most affordable sports shoe stores in Austin, etc. For the sake of applicability, let’s assume you are an SEO agency, offering SEO services. How do you grow your keyword pool? Entering your keywords into the search bar will provide you with two different sets of suggestions – one from the instant search feature while you are still typing the keywords in, the second at the bottom of the search engine results page (SERP) once you get the results. If you want to see similar suggestions from other sources, keyword research tool Soovle will provide a list of related terms from a number of platforms, including Google, Wikipedia, YouTube, eBay, Bing, and Amazon. With the help of Ahrefs’ Keyword Explorer and organic search overview, you can find the highest-ranked websites for each keyphrase, alongside other keywords these sites are ranking for. By taking a look at these keywords, you find other competitors, which then lead you to other keywords and so on. Once you have all the relevant variations of your seed keywords, extremely wordy long-tails included, you need to see which of them are actually worth pursuing. There are a number of tools you can use for this purpose (Google AdWords, SEMrush, Serpstat). You can simply export the data from these tools, find the list with the most metrics accompanying your phrases, and start adding other values to it. The simplest way to do this is with the VLOOKUP command in Excel or Google Spreadsheets. The end product is a list of all the all the keywords you need with information on how many people are searching for them, how difficult they might be to rank for, what’s their estimated monthly traffic, etc. Identifying the most lucrative keywords has to be done manually, as does mapping if you are starting from scratch; however, if your site has been around for a while, there are ways to expedite deciding which page to optimize for certain keywords. You can see how particular pages currently perform for certain keywords and also if their meta titles are in line with your targeting decisions, if the word count is adequate, or if they are having other issues with Google Analytics ranking data. This keyword rank will be with your pages as the primary parameter, combined with exports from the Screaming Frog’s SEO Spider crawl of your site along with VLOOKUP. It’s essential to decide which keywords are worth your time. Now you know which key phrases you want to optimize your pages for, it’s time to start looking for linking opportunities that will help you do that. Here’s how to do this in bulk. Search parameters are the ways that the instructions you’ve given to Google – through advanced search or with the help of operators – manifest themselves in the URL string of your search. 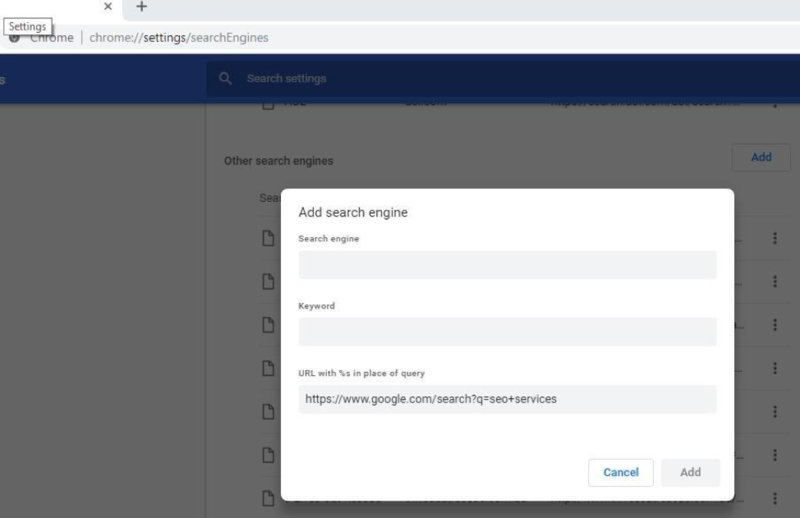 Starting from that basic combination, you can create strings describing complex queries, which you can later quickly and easily recall by adding them to your list of alternative search engines (by right-clicking the Omnibox in Chrome or going directly to chrome://settings/searchEngines). 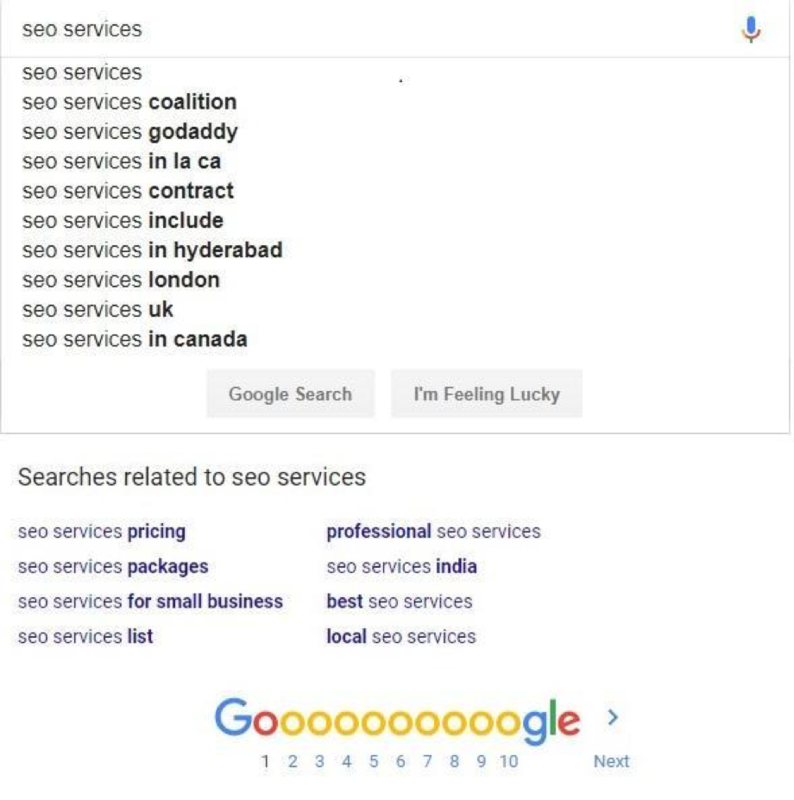 &pws=0 (https://www.google.com/search?q=seo+services&pws=0) turns off personalized search. &num=X instructs the SERP to show X results, with a maximum of 100 results per page. &as_sitesearch=example.com limits your search to the example.com domain like a site: operator would. Familiarizing yourself with the available search parameters gives you an amazing level of control over the search results, but you don’t have to discover them one by one. To create the string you need, simply start with a normal search; modify it any way you like — by adding operators or through advanced search options; copy the results page’s URL and substitute your search term with “%s” when adding the string as an alternative search engine. If you don’t already have a sizeable list of competitors, you can get one by visiting relevant online directories and copying the links to other businesses in your category (or using the IMPORTDATA command in Google Spreadsheets). Use a paid (e.g., or Moz Link Explorer) or free (e.g., SEO Review Tools or Small SEO Tools) backlink checker to get the backlinks of all your major competitors and paste them all into one sheet. If the tool gave you only exact pages containing the backlinks without a column with bare domains, you can extract them with the SPLIT command by designating “/” as the delimiter. Remove rows with duplicated domains so that each site appears on your list exactly once, eliminating any double-tracking – naturally, do take note of sites that link to a lot of your competitors, as they are not only likely to link to you as well but also have a good chance of being high-quality, relevant websites, as evidenced by your competitors’ interest in them. Your list probably still has thousands of links, but you don’t have to go through all of them. You can complement the metrics your backlink checker provides with data from Ahrefs batch analysis, which will give you DR of the domains, their IP, their referring backlinks, etc. Now you just need to sort and filter out the sites: with Domain Rating (Ahrefs’ proprietary metric), trust flow, (i.e., Majestic-specific metric illustrating a site’s linking proximity to trusted sources), or your metric of choice below a certain value; with only a few referring domains or no social following; and with domains sharing an IP with many other sites on the list, suggesting a private blogging network, etc. Finally, begin checking the remaining sites manually, saving countless hours than if you checked every link on your initial list. This list should keep growing. By setting up Google Alerts to make note of each new mention of your competitors’ websites and combining it with amazingly useful IFTTT, you can have all those mentions automatically imported into the list. Be as detailed and frequent as your client demands. If you have just one client who wants monthly reports, no problem, but anything more, and you soon start spending more time on compiling reports than on what you should be doing. Naturally, the KPI dashboards you can create don’t have to be used exclusively for reporting, but they also give you a way to keep a close eye on how your strategy is unfolding and instantly react to anything demanding your attention. Social media is a good avenue for content promotion. You should share the same content at least a couple of times, and only a small portion of your posts should be self-promotional. This means that managing your brand’s presence, even on just one or two social platforms, can eat up hours of your time. Fortunately, you can use social media management and scheduling tools such as Hootsuite and Buffer to centralize the control over your different social accounts and to schedule posts, sometimes months in advance. Some of those posts will be your content, but the majority should be general industry-related news. Connecting the mentioned tools with content sources, the RSS feed of a blog you like, or a content curation platform such as Quuu or Feedly will keep your publishing calendar full. Recognizing the parts of your workload that can be automated helps you extend the scope of your research; improve communication with your clients, as well as their communication with their audience; and delegate all the menial, time-consuming tasks to the tools, scripts, or template spreadsheets built specifically for that purpose. 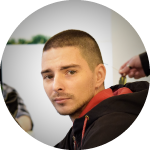 Raul is editor-in-chief at Technivorz blog. He has a lot to say about innovations in all aspects of digital technology and online marketing.